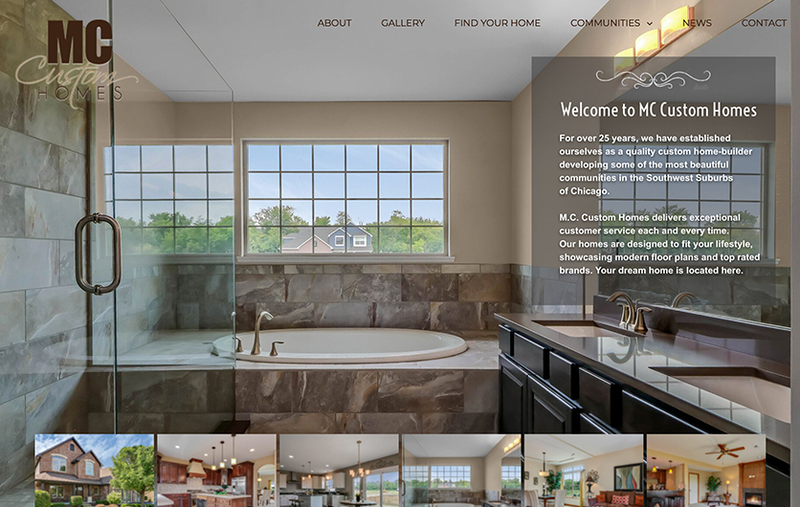 MC Custom Homes started searching for a web design and development partner when they determined their website’s current visual design, content delivery and navigation was not reflective of their beautiful real estate communities. MC Custom has a strong reputation in the Chicago suburbs. 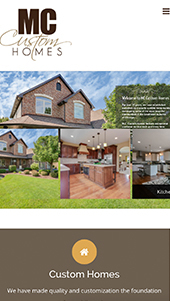 They wanted to highlight their communities and custom home projects to take it to the next level with current and prospective clients. This new website highlights their communities with a photo-rich and engaging design. For over 25 years, MC Custom Homes has established themselves as a quality custom home-builder developing some of the most beautiful communities in the Southwest suburbs of Chicago. Their focus on exceptional customer service, longstanding relationships with reputable tradesman and quality craftsmanship makes them stand out from the rest. MC Custom Homes projects currently consist of Oak Creek of Lockport, Karen Springs Single Family home development in Lockport and Walker Country Estates in New Lenox. We started with elevating customer-centric messaging that resonates with their audiences challenges and needs. This messaging is leveraged in key real estate on the homepage slider to immediately grab the attention of visitors.